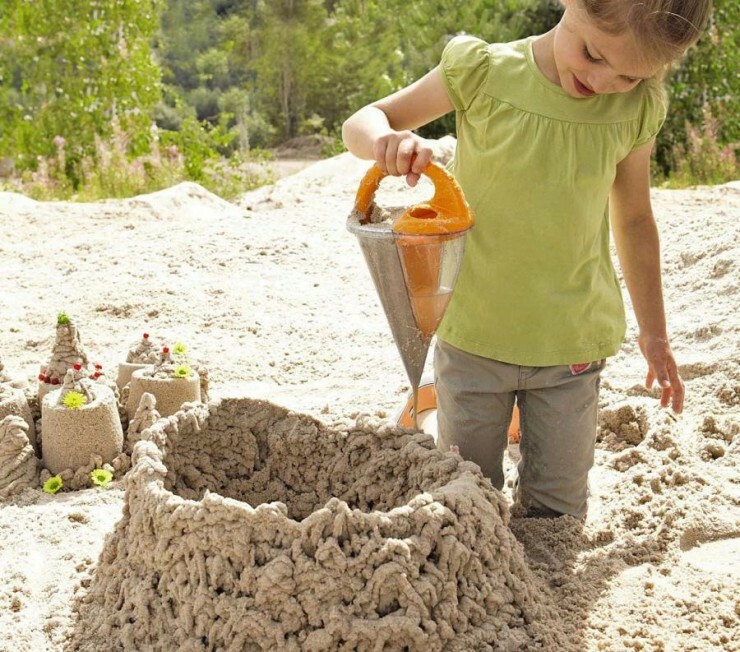 Think Of The Haba Baudino Spilling Funnel XXL As 3D Sand Castle Printing | OhGizmo! 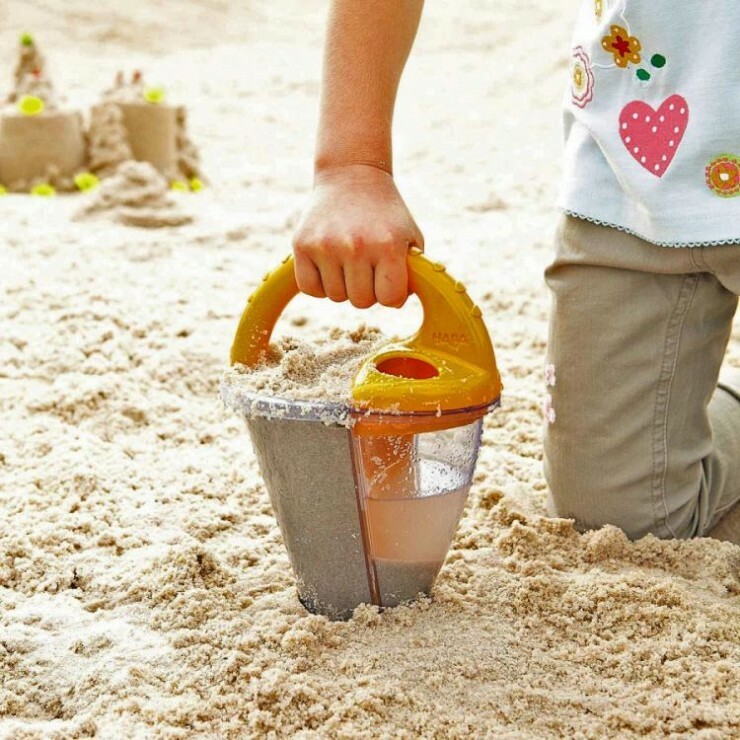 Playing around in the beach invariably involves building some kind of structure with wet sand. Humans have probably been doing this since forever, and a good number of toy and accessories have been invented over the years which purport to help or assist in the process. 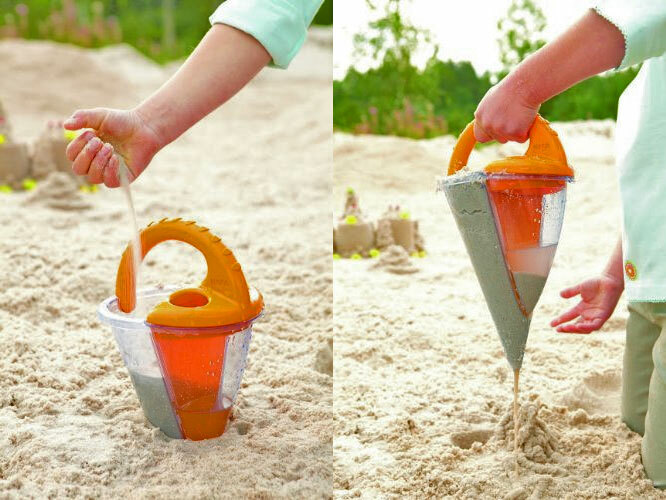 The Haba Baudino Spilling Funnel XXL is one such toy. 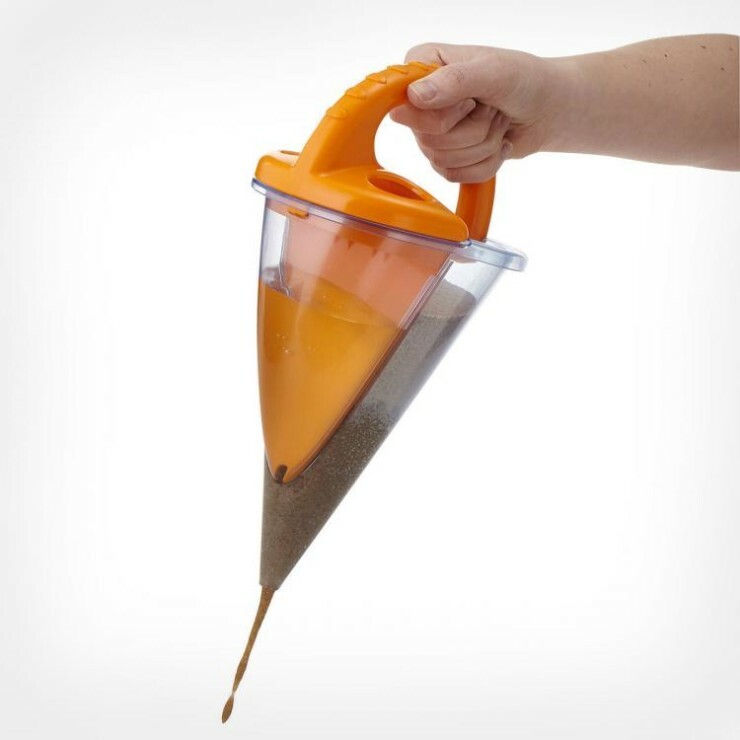 It’s a hand-held funnel that fills up in part with water, and the other part with sand. You then use it to create whatever you want, since the line of sludge that comes out the tip solidifies almost instantly, turning your hand into a 3D printing head. 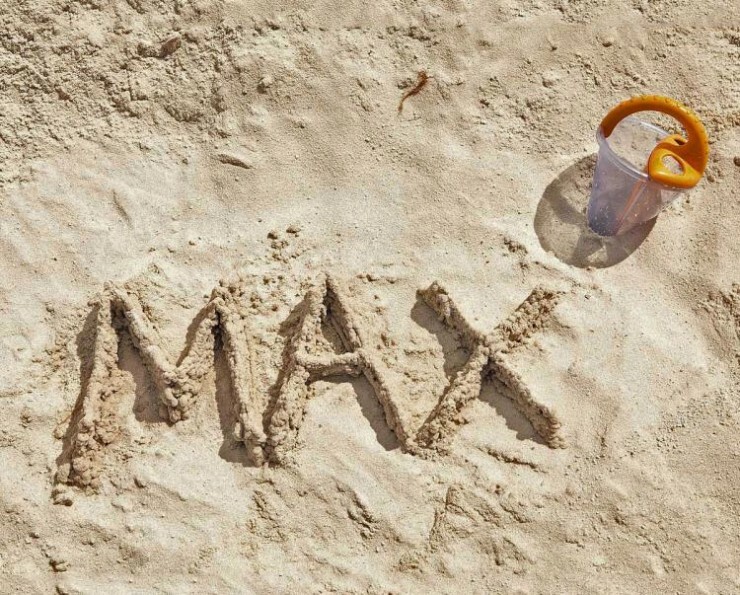 Sure, the resolution on this won’t be stellar, and maybe you’ll have to sand some edges (see what we did there? 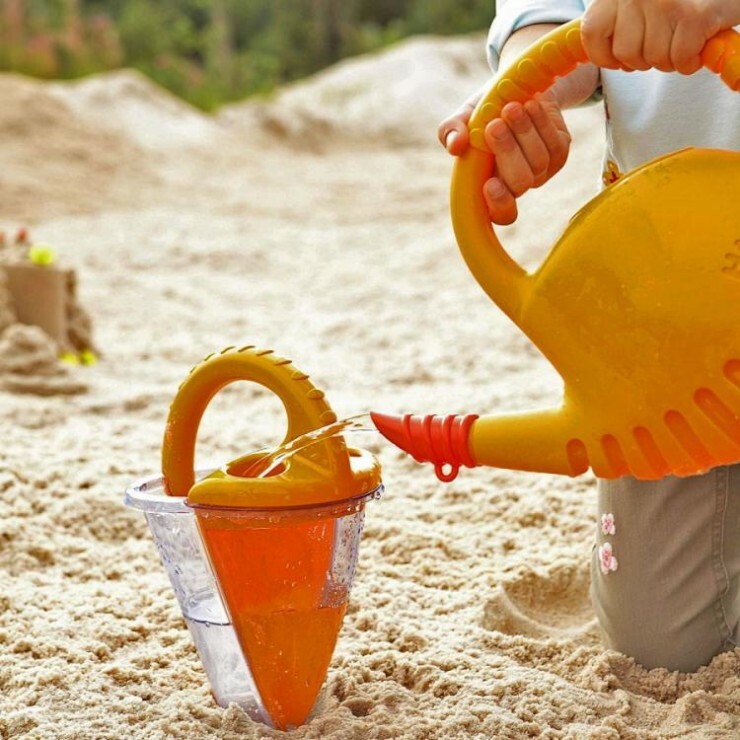 ), but in the end you’ll have your kid (or even yourself) playing around in the beach, being creative, and hopefully exercising some sort of intellectual skill that these kinds of toys are supposed to stimulate. It’s $9.49.